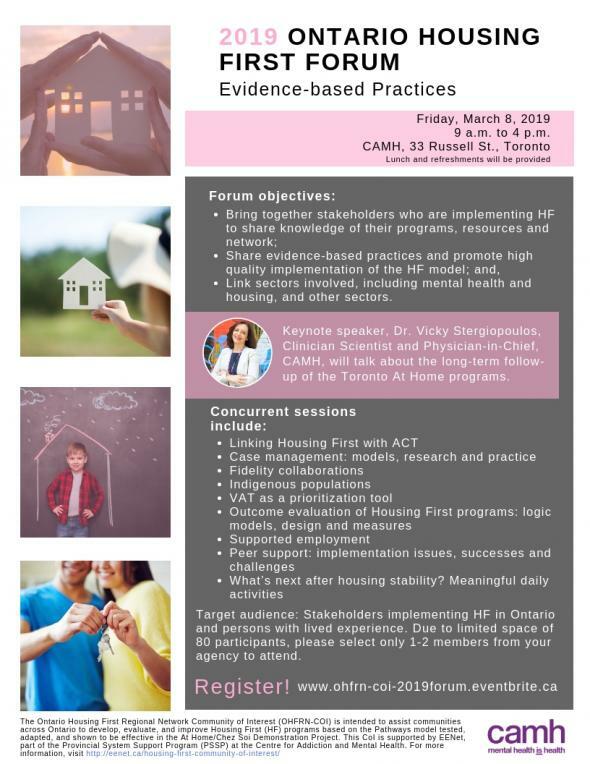 Dr. Vicky Stergiopoulos, Clinician Scientist and Physician-in-Chief, CAMH, will talk about the long-term followup of the Toronto At Home programs. Stakeholders implementing HF in Ontario and persons with lived experience. Due to limited space of 80 participants, please select only 1-2 members from your agency to attend. Click here to download PDF version of flyer.